For anyone in New York (I’m not, sadly), go check out the launch of volume 3 of PELT, a journal published by the Organism for Poetic Research, in which I have two poems. 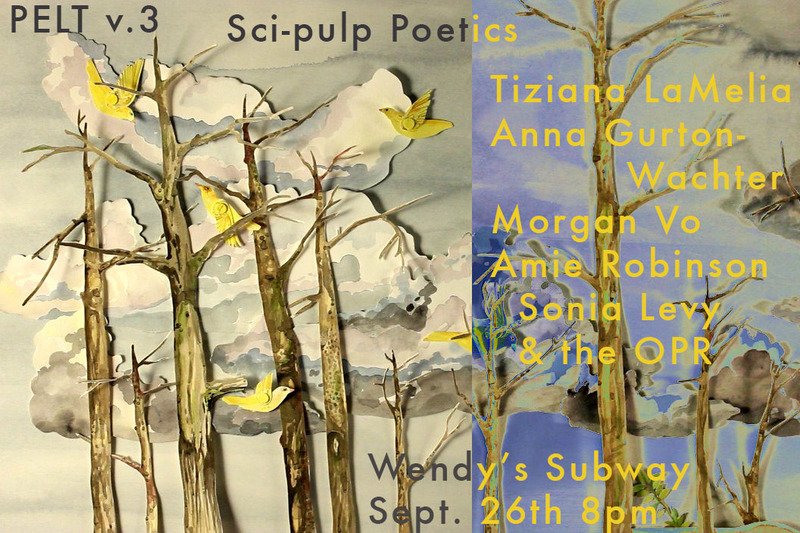 This volume of PELT is a special issue on “Sci-Pulp Poetics.” The launch will be accompanied by a reading at Wendy’s Subway this Friday, September 26th at 7:00 pm. Wendy’s Subway is at 722 Metropolitan Avenue, 2nd Floor, Brooklyn, New York 11206 and can be reached by taking the L train to Graham Ave.